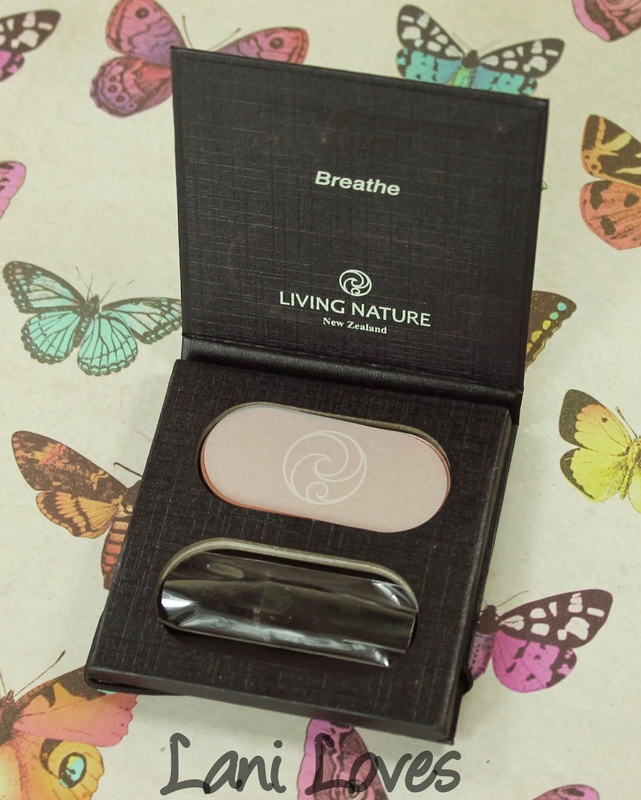 Here is another beautifully packaged product from Living Nature, one of their blushes in the shade Warm Summer. I showed my mum this one not long after it arrived and we were both rather enamoured with the simple but clever elastic band closure. The packaging itself is sturdy textured cardboard with the Living Nature logo printed on it. 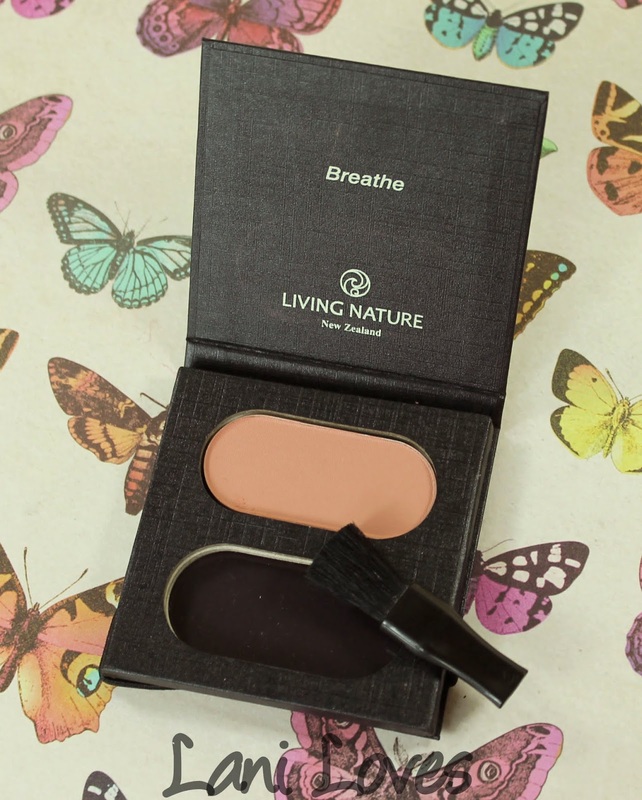 Living Nature blushes retail for $45.00NZD and contain 4g of product. When you first open the blush, you'll find a layer of vellum paper protecting the blush inside; the Living Nature logo that adorns it is a sweet touch. Also included is a travel sized brush which is sadly too floppy and oddly cut to be of service. I always wish brands would forgo this option and go for a mirror or a larger pan of blush instead! 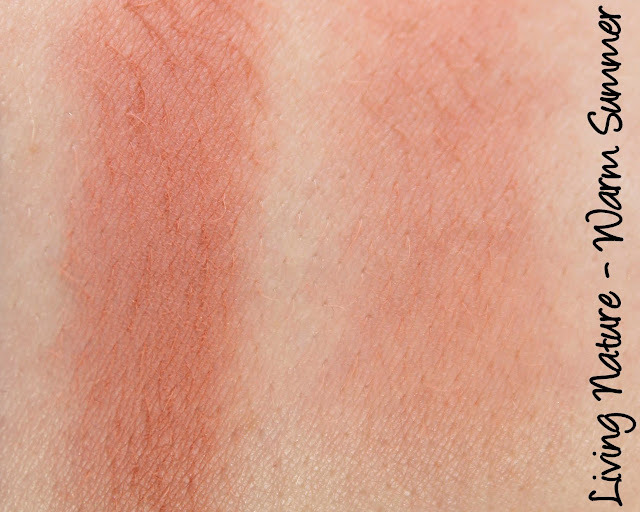 Warm Summer is one of two shades in Living Nature's blush range (the other being Cool Winter). 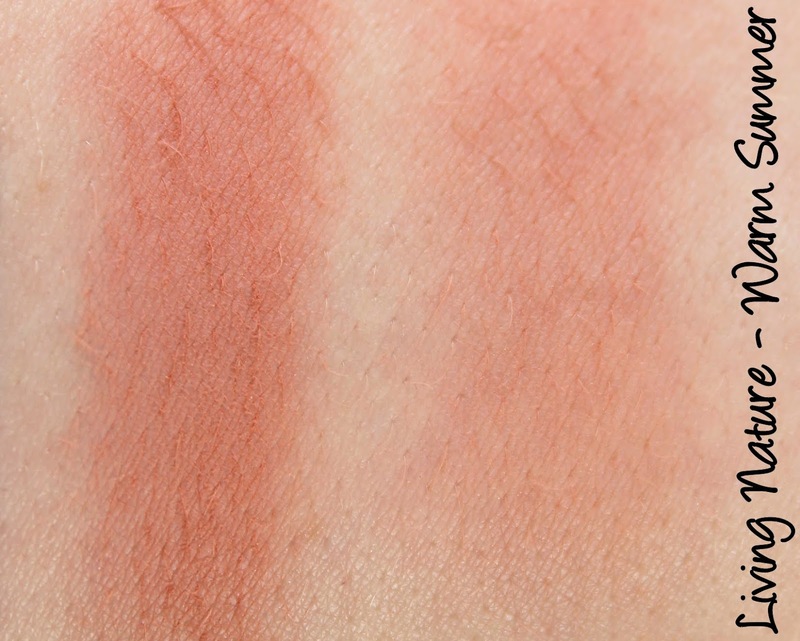 As with the swatches shown for the lipsticks on the website, I found the stock image to be completely inaccurate. I really see no point in showing a purely photoshopped creation that bears no relation to the colour of the actual blush. If you made your purchase based on the website's depiction, you'd be expecting a cool, ashy rose, instead of the warm dusty apricot that Warm Summer actually is. My moaning about colour representation aside, Warm Summer has lovely colour pay off. 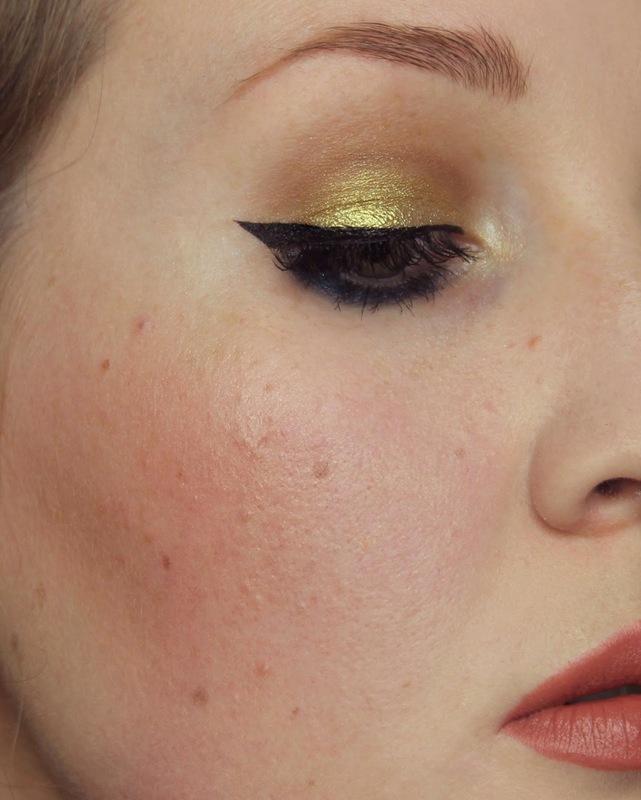 It looks powdery in the heavy swatch, but this doesn't translate at all to cheeks. 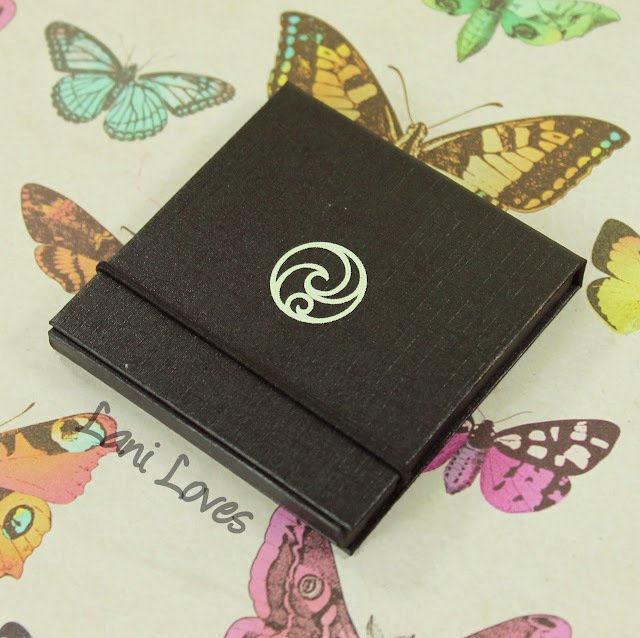 Instead, it blends beautifully into the skin and looks very natural. 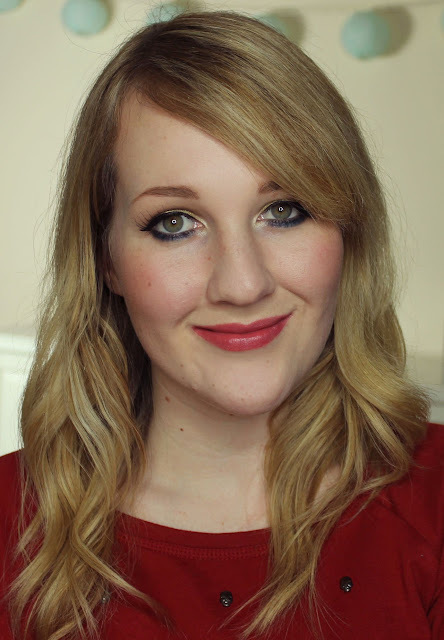 A soft, rosy and understated glow which is impossible to overdo. Wear time was unusually fleeting however, lasting four and a half hours which seemed to be consistent whether over bare skin or over primer and foundation (and set with translucent powder).